Jia Han's site | An environmental engineer. An anthropologist. If this issue is not something that I familiar with or that important, I should not comment too much. However, I feel that constitutional amendment is too important (as the highest law in “the Federation”). 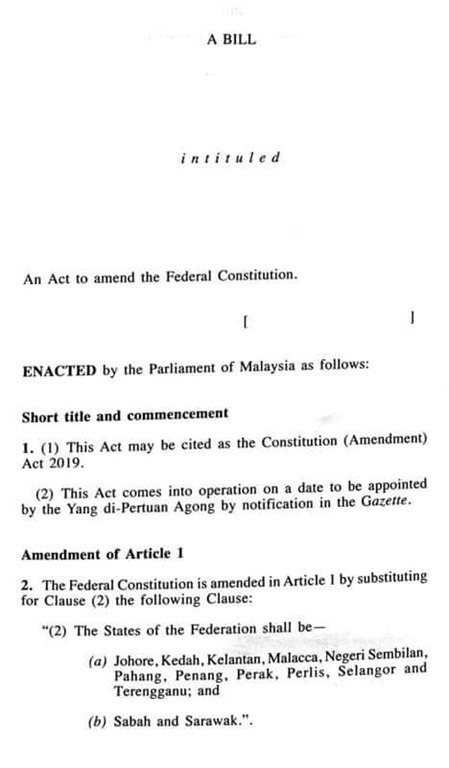 Based on the information I collected during the past few years from the major libraries/archives in Singapore, Taipei and Kota Kinabalu, I feel that this constitutional amendment is too hasty and contains implicit political agenda from PH. Tomorrow (9 April) will be the day for the second and third readings of RUU (and it may last until mid-night). If PH and its alliance receive nine more support, I perceive that it is difficult to propose another constitutional amendment on this issue in the next 20 years (if Malaysia is still there). Although many politicians and NGOs have requested for the amendment draft since the end of March, the draft was only publicly presented during the first reading on April 4, and the people has only five days to discuss and react before the voting. Since the PM announcement in last September, all the public discourse was centered on the term “Wilayah/Territory”, which made people mistakenly think that the term “Wilayah/Territory” would appear in the draft. Subsequently, many people questioned the real meaning of the term, but there was no official reply. 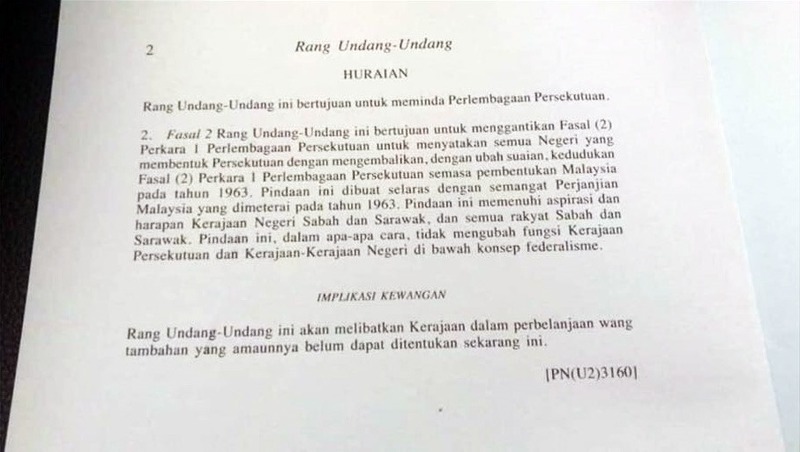 The SS government even mistakenly believed and announced their readiness to drop off the usage of “State/Negeri” in all official documents after the amendment. Now I know that “Wilayah/Territory” is just an illusion to shifts the public focus. The 2019 draft does not contain the term “Wilayah/Territory”, afterwards many PH politicians argue hardly to prove that the term “States/Negeri” functions as “Wilayah/Territory”. Wao! We do not believe in the explanation that are not written on the draft. Then they claim that this draft is equivalent to 1963 version. If so, why do they delete “the States of Malaya” and “the Borneo States”? Minister LVK’s own explanation is that the two words are simply “out of date”. He claimed that “the Borneo States” could refer to Brunei and Kalimantan as well. 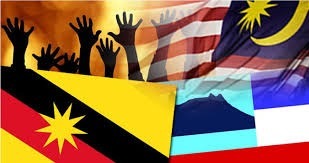 Is it logic for Brunei and Kalimantan to appear in the Malaysia’s highest law? Moreover, isn’t the line, “namely, Sabah and Sarawak” explain further on what are “the Borneo States”? Furthermore, if “Malaya” is out of date, why PH politicians back up the definition of “the Federation” in the 160(2) articles, “the Federation established under the Federation of Malaya Agreement 1957” ? Why is the “Malaya” of the 1(2) article out of date, and then the 160(2) article still relevant? They claimed that the 160(2) articles have nothing to do with the 1(2) article, but there is no further explanation given. In my opinion, the distinction that makes the 1(2) and 160(2) article irrelevant is to emphasize and restore “the States of Malaya” and “the Borneo States” in the 1(2) article, in order to veto the general definition of “the Federation” in the Constitution. Another more thorough approach is of course to modify the definition of 160(2) “the Federation” into “the Federation established under the Federation of Malaysia Agreement 1963”. 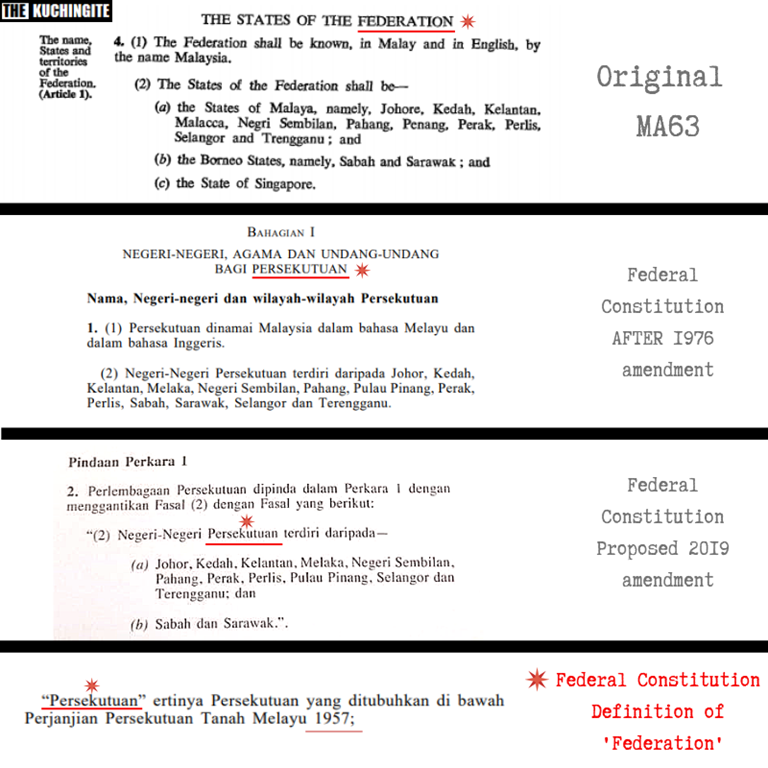 Do remember, the 160(5) article clearly states that “the Federation” has nothing to do with the definition of “the Federation” under “the Federation of Malaya Agreement 1948”. Then why can’t we repeat the same in the Constitution by adding similar line to void “the Federation established under the Federation of Malaya Agreement 1957”? The confusion about the definition of “the Federation” has been raised up by scholars since 2015 (maybe earlier). We cannot accuse that the East Malaysian MP are making trouble this time. As long as the definition of 160(2) “the Federation” remained, “the Federation of Malaya” still exists in De Jure. In fact, I am very happy to see the status restoration of the lost “Federation of Malaya” in De facto. After 4th April, the comments of the PH MP were directed to show “the unreasonableness” of localism MP, saying that they advocated the status restoration and now they oppose the act, that they are dominated by Umno. PH MP are trying to imply that if this amendment succeeds, localism parties will have nothing to attract votes. If PH MP really want them to lose local support, my suggestion is to return the oil and gas tax to 20%; it will be much more effective. Some of the PH MP and scholars have pointed their fingers to 1976 scenario, showing that SS MP themselves support the amendment with the reasons to integrate more into Malaysia. Please, analyze the 1976 amendment in the politic-social context! 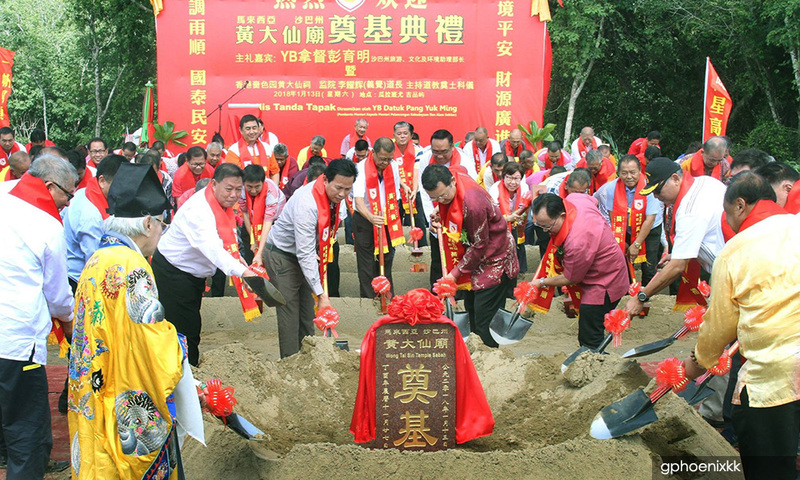 Weeks before the constitutional amendment, the chief minister of Sabah and half of his cabinet that insisted on oil and gas tax and autonomy “were exploded”. In addition, in 1976, SS have not fully experienced the hardship for being Malayized and being Islamized. The most important point, both the BN and PH have pledged to restore the status of 1963 before the election, rather than the status of 1976. Why focus on 1976? The people were dissatisfied with the 1976 amendment and that is the reason they propose to restore the status of 1963, isn’t it? Unless PH manifesto does not mention 1963, it is at least understandable from their perspective. If you have watched the live broadcast of the 4th April Parliament, the localists did not completely oppose to the purpose of amendment, but they doubt the practical significance after the amendment. They hope that there will be more time and room for discussion. 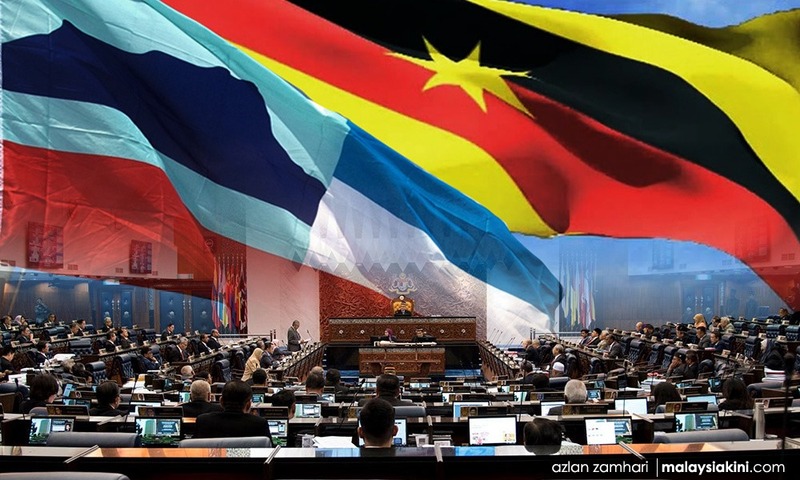 They request the establishment of special committee to analyze the wordings carefully and then pass the amendment in both Sarawak and Sabah legislative assemblies before passing in the parliament. These are their feedbacks that willing to communicate, and to reduce future disputes. If so, why PH is so rushed? I sincerely hope that everyone can help me find that a non-contradictory interpretation or clear answers from PH MP in their past few days (4-9 April) statements. Thank you! No one in the history knew better than Lord Lansdowne, the UK Minister of State for Colonial Affairs as well as the chairman of the Inter-Governmental Committee in 1963. The IGC is formed to ascertain the views and autonomy rights of North Borneo and Sarawak people and the IGC report is signed by the Federation of Malaya, North Borneo, Sarawak and United Kingdom representatives (all together 27). 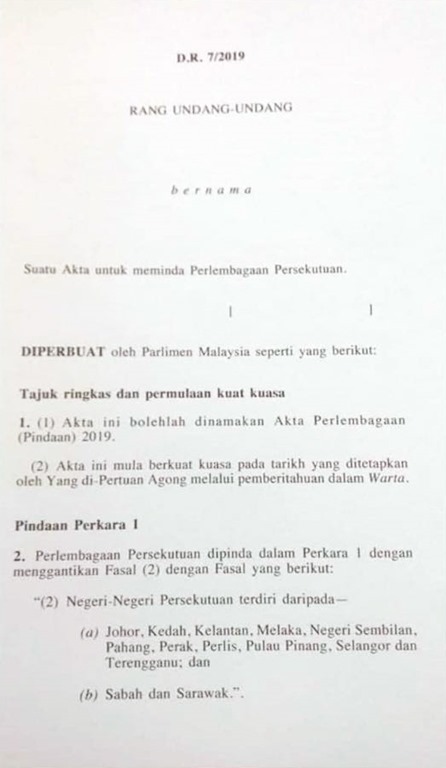 This is how he interpret the “real partnership” during the debate of “The Malaysia Bill 1963” in the UK house, 26 July 1963, 17 days after MA63 is signed in London. I have been collecting special Angpow design for over 20 years. This is one of the most precious Angpow collections that combines both the Chinese and KDMR/Momogun culture. Should I name it as a ‘Sino’ angpow? The celebration of Lunisolar New Year in Sabah is participated by all ethnic groups. 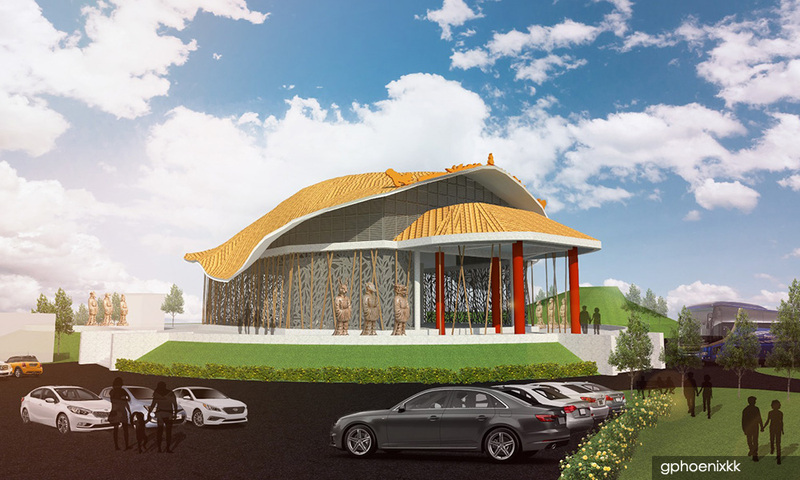 I found this design at Chanteek Borneo Indigenous Museum, at Tampuruli. It is actually one of the three designs, that includes the Angpow for wedding as well. The assimilated practices of Angpow are also found in Hari Raya Puasa (Eid al-Fitr) and Deepavali celebration, with Green and Purple/Yellow as main color. 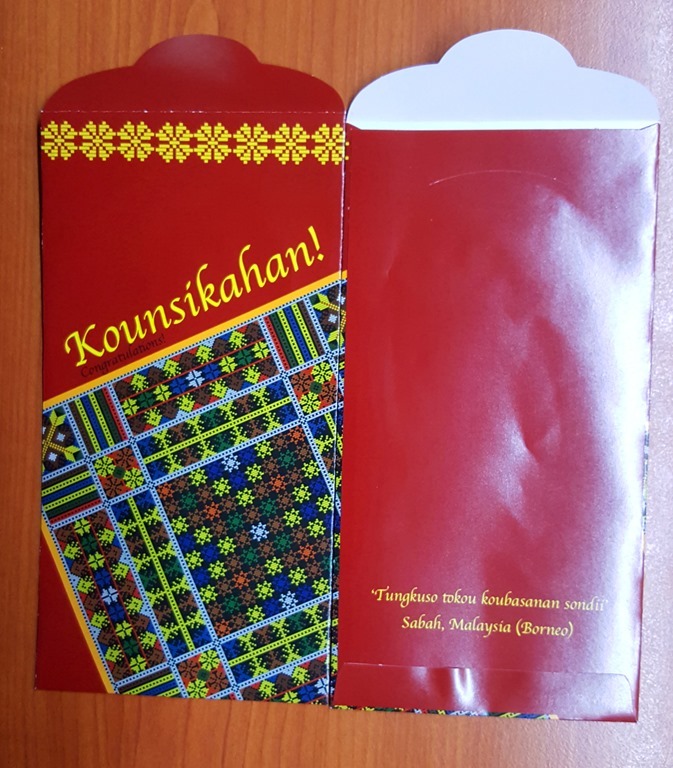 I even kept the Kongsi raya version that blends red & green in one packet from 1996-1998 when Hari Raya Puasa and Lunisolar New Year fell within the same month. The next Kongsi Raya will be in 2029 to 2031.